RANT RAVE. Beat your head against the wall. Throw your hands up in defeat, in disgust, in despair. THE NOISE OF THE WORLD. It is not the news anymore it is noise. Pure noise. Everyone has an opinion and seems to be entitled to it no matter how stupid they are. The dirty secrets of the world that are never discussed. Rant rave and stand on your soapbox and join the birth of everything. We live in the political solutions of the last war and that master plan is falling apart. Canada is at war with no declaration of war issued by Parliament. Watch me spin out of control foaming at the mouth. Learn the true history of art and artists in the twentieth century. Imagination is under threat. Rant rave and carry on. For the last thirty years, Oraf Orafsson has worked in film, video, performance, and installation. 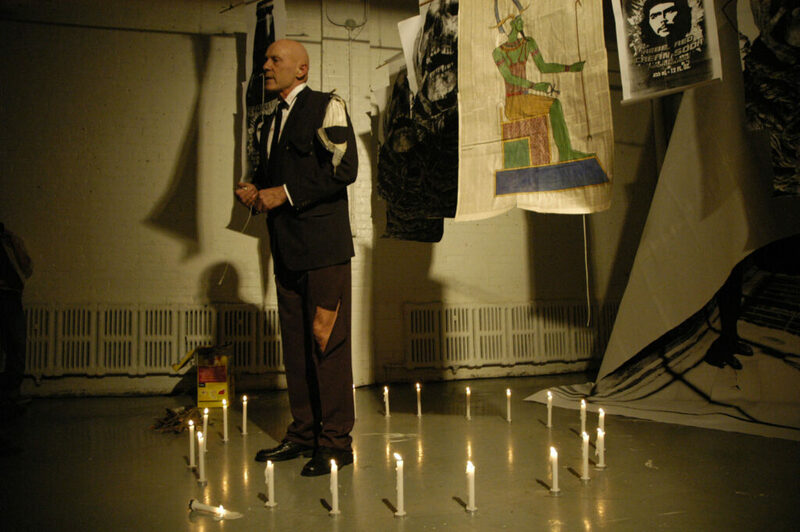 Performing across Canada and the US, Orafsson’s projects have addressed postwar politics, oppositional cultural movements, and AIDS activism.